Many of you must have heard of the popular term “Ghana Must Go“. And we all know that popular Bag known as 'Ghana Must Go'. Well, a real life incident that happened in Nigeria back in 1983 is what christened the bag “Ghana Must Go”. The Bag became popular after the Shagari Government Ordered the expatriation of illegal Africans living in Nigeria. Over 1 Million Ghanaians were affected by that order. 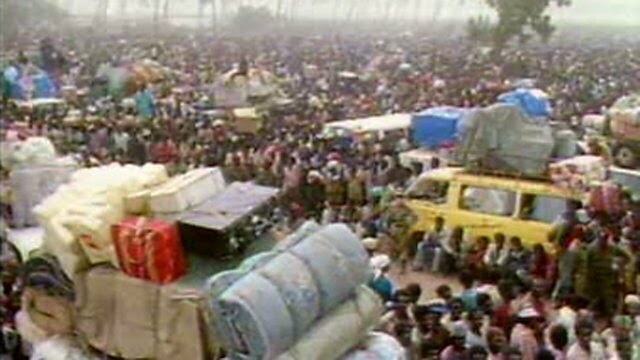 Many felt Shagari evicted the Immigrants so as to divert attention. So, let's Consider the real story behind it. 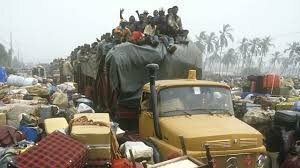 In the 1970s During the Oil Boom Period in Nigeria, alot of Migrants from Africa came into the Country in-search of Jobs and Greener Pasture. Nigeria was like the U.S.A, Britain, Germany, South Africa etc of today, that many Nigerians are queuing up for Visas, so as to Elope to. During the Oil Boom Period, there were Jobs that Nigeria's were Shy Or Reluctant to do. Such Job includes Driver, Cobbler (Shoe maker), Tailoring (Obi-oma), Security Guard, Cook, Gardener etc. As such,those Immigrants that came to Nigeria, were more than willing to do those Jobs. Infact, In Lagos then, most Cobblers, Tailors, Drivers etc, were Ghanaians. This same Scenario is what is playing out in most of today's Developed Countries that Nigerians and Africans are eloping to. Most Jobs that are ready available for Migrants, are Jobs that the citizens of those Countries in Europe, America etc, are reluctant Or Shy to do. Note: This is not to say that, there are no Africans who are working in big firms in those Countries : Ofcause there are! 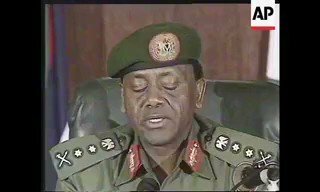 Anyway, in 1983, during the Democratic regime of President Shehu Shagari, the Federal Government of Nigeria Ordered a Mass Deportation of illegal immigrants living in Nigeria,as an executive order was given to immigrants without proper immigration documents to leave the country..
or they would be arrested according to the law. This was also due to the atrocities most of the Immigrats were reported to be Perpetrating in Nigeria. 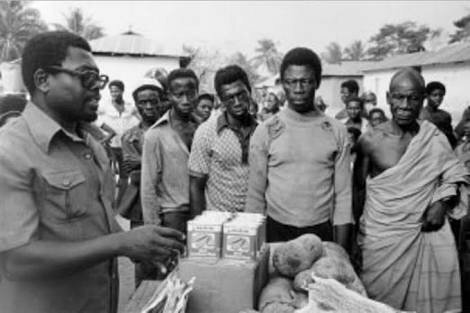 Nigeria in search of better living in the 1970s when Nigeria was experiencing oil boom and Ghana's Political and economic Hardship. 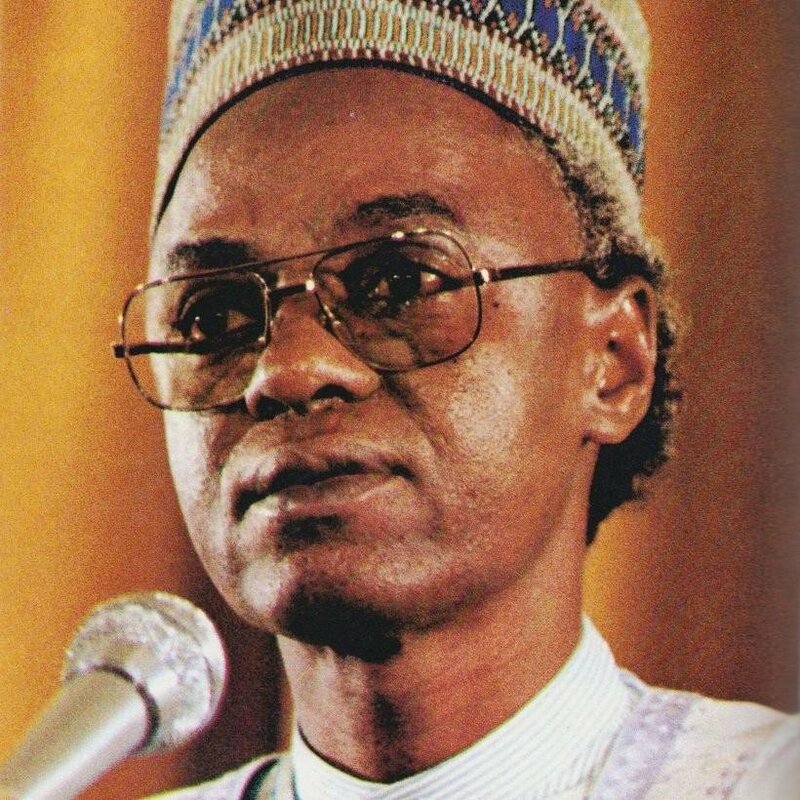 Over 2 million men, women and children were affected by this news and decision of then President of Nigeria, Shehu Shagari. Albeit, The Nigerian Government did not just wake up one day to expel over 2 Million Africans from its Country, there were certain factors (one mentioned above) that culminated in the expulsion. Prior to that event, Nigeria and Ghana were good allies and have been maintaining their friendship. 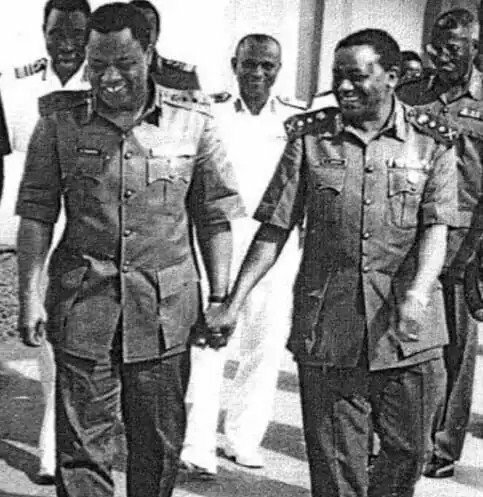 But this Friendship was Threatened in the early 1980s during the regime of the Ghanaian Head of State, Flight Lieutenant Jerry J. Rawlings and the Nigerian President,Shehu Shagari. 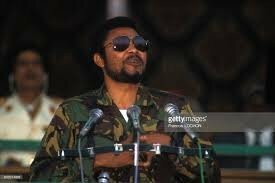 Both African leaders were not in good terms and this was because President Shagari was a good friend of Ghana former President, Hilla Limann, who Rawlings overthrew his Government. Picture: Ghana former President, Hilla Limann that Jerry Rawlings Overthrew. 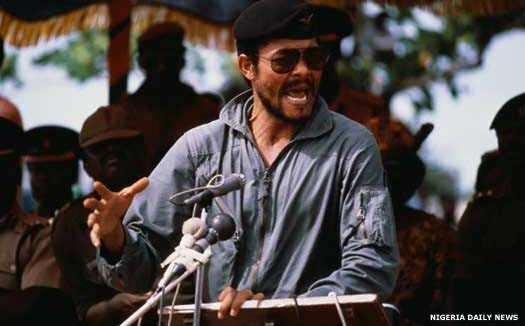 This deteriorated the Ghana-Nigeria relationship to the extent that in 1982, Rawlings raised an alarm that Shehu Shagari wanted to help Hilla Limann to Overthrow his Military Government in Ghana. And in response, Nigeria stopped the shipping of Crude Oil on a loan deal to Ghana. And as this animosity continued between the both Governments, so did it between Citizens of both Countries. Because of this, the Migrants in Nigeria were Seriously Threatening the Peace of the Country and Nigerians were not ready to take that. 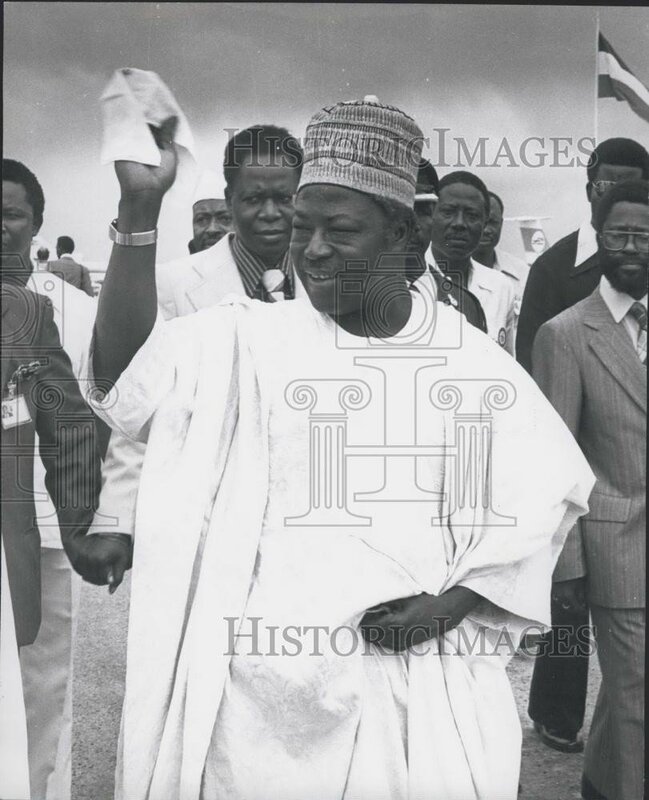 The Situation began getting heated-up in 1980 when a Cameroonian expatriate named Muhammed Marwa alias Maitastine spearheaded a religious uprising (Maitastine Uprising of 1980) that led to the death of over 5000 Persons in Kano. Maitastine was an illegal immigrant like many of his followers who were from Burkina Faso, Niger and Cameroon. This uprising is considered the second most tragic event in Nigeria after the Biafran war. Allow me to tell us briefly about this event. Mohammed Marwa is from Northern Cameroon, and was nicknamed Maitatsine. The meaning of Maitatsine in Hausa is "the one who Damns" and refers to his Curse-laden public speeches against the Nigerian State. He was just a controversial preacher. In 1945, After Maitatsine's Education, he moved to Kano State, Nigeria, where he became known for his Controversial Preachings using the Qur'an. During the Colonial rule, The British Colonial Authorities sent him into Exile, but he returned to Kano shortly after independence. Maitatsine claimed to be a Prophet, and saw himself as a Mujaddid in the image of Sheikh Usman dan Fodio. Although he was a Koranic Scholar, he seemingly rejected the hadith and the Sunnah and regarded the reading of any other book but the Koran as Paganism. Maitatsine spoke against the use of Radios, Watches, Bicycles, Cars, having of more money than necessary, he condemned Western Culture, Education, and refers to anyone who sent his child to school as an “infidel,” which is echoed in the contemporary Boko Haram movement of today. By 1972 he had a notable and increasingly militant following known as Yan Tatsine. In 1975 he was again arrested by Nigerian Police for slander and public abuse of Political Authorities, But by that Period, he had already began to receive acceptance from religious authorities,..
especially after making hajj, the Muslim pilgrimage to Mecca. As his followers increased in the 1970s, so did the number of confrontations between his adherents and the Police. and those who felt that mainstream Muslim teachers were not doing enough for their communities. And also poor men, particularly former seasonal laborers economically displaced by the Oil boom. changes—which included inflation and the destruction of the petty mercantile economy—they were looked at as hooligans and thieves. Thus, the specially and Economically Marginalized were receptive to Marwa’s Anti-Government message and exclusivist Religious Outlook. In 1979, Maitatsine reportedly rejected the prophethood of Mohammed and portrayed himself as an annạbi (Hausa for "prophet). 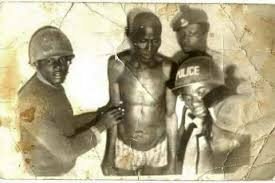 In December 1980, during Yan Tatsine attacks in Kano, the Police requested for the Aid of the Nigerian Army. 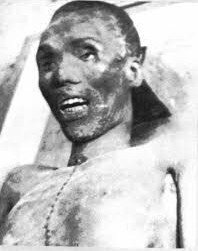 The Clash between the group and the military led to the deaths of over 5,000 people, including Maitatsine himself. Remember, Maitatsine was a Cameroonian,n ot Nigerian. It must also be noted that there had existed an Old wound in the Nigeria-Ghana relationship back in 1969 when the Ghanaian Government effected the Alien’s Compliance Order. 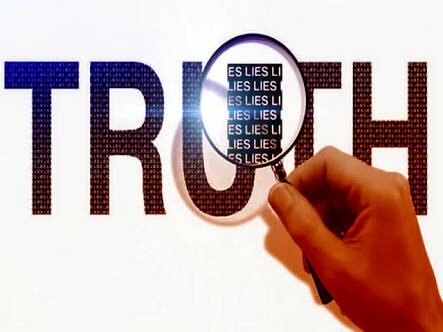 Nigerians and other African immigrants were banished on the claim that the economy of ..
of Ghana was in depression. So, many Nigerians were chased out of Ghana. 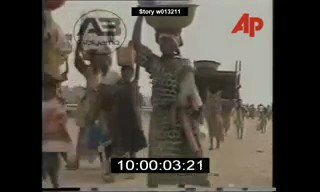 The last straw that broke the camel’s back which Culminated in the Deportation Saga of the African Immigrants during the Shehu Safari's Government, was the Robbery Incident at Alex Ekwueme’s house. Alexander Ekwueme, the then Nigerian Vice President was robbed by a group of armed robbers which consisted mainly of Immigrants. When the robbers were caught by the police, it was discovered that two of them were Ghanaian. This revelation sent the whole of Nigeria in rage. Instant action was taken by the Nigerian Government and the Ministry of Internal Affairs. 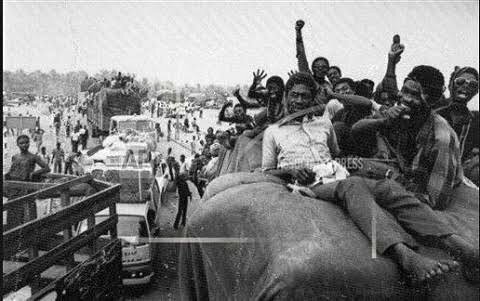 On the 17th of January, 1983, the Nigerian Minister of Internal Affairs, Alhaji Alli Baba, announced the immediate expulsion of all illegal immigrants in Nigeria within two weeks. Panic gripped all immigrants without papers in Nigeria for it was the least expected action of the Nigerian government. Over 1 million Ghanaians were thrown into confusion and indecision. It was rumored that the Federal government gave power to Nigerians to confront any alien after the ultimatum given to leave. This scared the expatriates and sent them fleeing with and without their luggage. 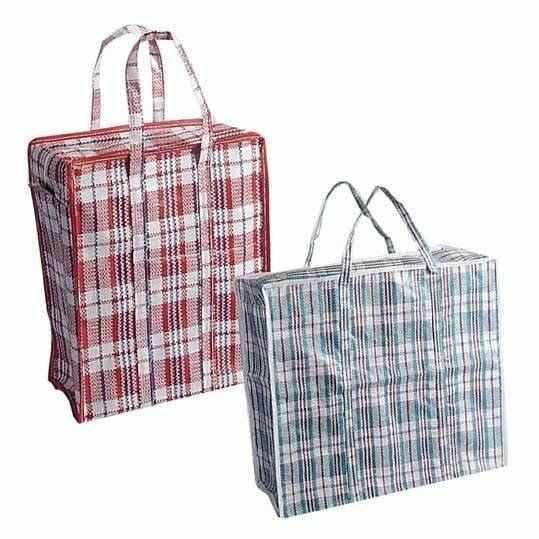 Those who could pack their belongings used the biggest of bags available which happened to be the big bag which is now referred to today as Ghana must go. This mass deportation met global criticisms. The act was condemned by many humanitarian organizations across the Globe. All these did not make the Nigeria Shehu Shagari's Government to reverse the order. It still bent on expelling all illegal immigrants in the country. 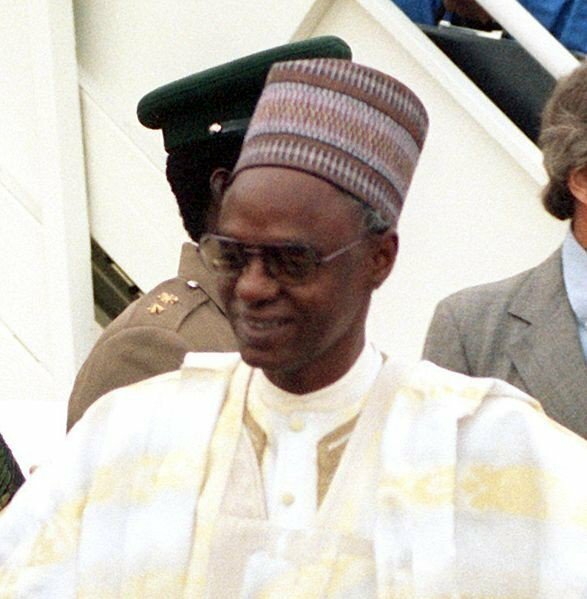 Also, there were claims that the corruption riddled Government of Shehu Shagari Ordered the deportation to divert attention from its shenanigans because election was near. Truly, the Shagari Government had to pull a stunt to divert the attention of Nigerians and win their votes. Ghanaians trooped out en masse for they knew Nigeria was no longer safe for them. It was indeed a massive exodus that automatically rooted its feet in the History of Nigeria and Ghana. Traveling back, The major route to Ghana was through the West passing through Benin and Togo. But, Once the Ghanaian Migrants got to Benin Republic, the way out was restricted. Those who had already made it to Benin were stuck in the port of Cotonou, the capital city of Benin, with hopes of getting a boat to Ghana. 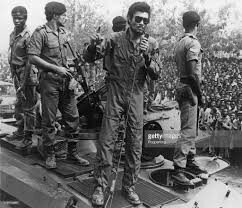 The problems they experienced didn't end there, because due to an attempted Coup the previous year in 1981, Ghana's president Jerry Rawlings had closed the main land crossing with Togo to avoid the sudden arrival of over 1 Million people. Also, Togo too, closed down its Own boarder with Benin in order to avoid refugee Crises. 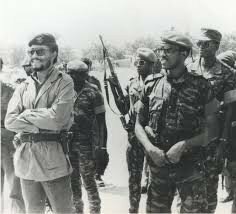 Later, Ghana Military ruler, Jerry Rawlings opened the Ghana-Togo border. This left Togo with No Choice than to do the same with Benin Republic, and allow refugees to flow across like water. It was indeed a great News for the refugees. On getting home, the Ghanaians were welcomed by relatives and friends amidst tears. President Jerry Rawlings also visited some of them at Tema harbour and assured them that his Government would assist them in every possible way. However, it should be noted that today, Nigeria and Ghana remain best of friends as they have left the past behind them. This is evident in the Synergy of both Countries in the areas of Entertainment, Sports and other Sectors. And today, Ghana's economy is one of the fastest growing economies in Africa. Ghana's economy is even far rated more than that of Nigeria. One will Seldom wonder but, this was a Country which Nigeria was far more better than in the 70s and even chased it's people away in 1983. It all boils down on LEADERSHIP. Nigeria leaders since 1983 have been busy looting and milking it's economy dry. This the reason why Thousands of Nigerians are eloping out of the Country daily. Those who haven't eloped, haven't gotten Visa. The Ghana Must Go Saga Only affected ILLEGAL IMMIGRANTS, not every Ghanaians. The Truth looks up to the skies and sighs, for the day was really beautiful. Again, The Lie tells the Truth: "The water is very nice, let's take a bath together!"! The Truth, once again suspicious, tests the water and discovers that it indeed is very nice. They undress and start bathing. 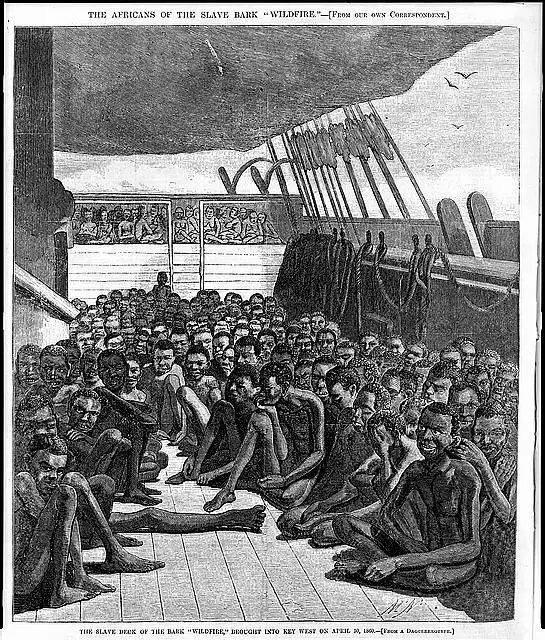 During the 19th century of the Transatlantic slave trade, Yoruba territory was known as the Slave Coast. 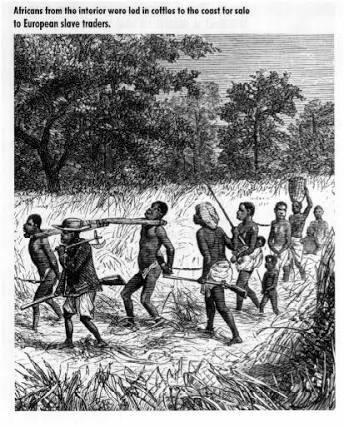 The demand for African slaves during the slave trade was fuelled by the availability of a supply chain which involved African rulers, tradesmen/women who made fortunes out of selling their own people. 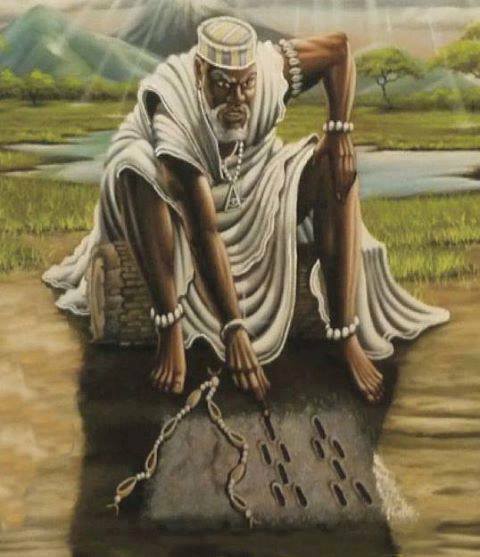 Unfortunately, so many Yoruba Elites got Wealthy through this Nefarious Trade. 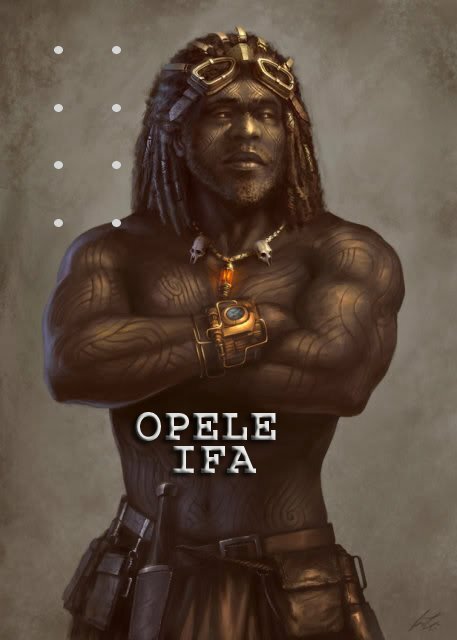 OPELE was a gifted young man who had a rear divinity gift from birth, he could see tomorrow.